Today it’s easy to explore foreign lands and oceans simply by using Google Maps, but centuries ago, when these worlds were first discovered, people had no choice but to rely on the tales of explorers. As these adventurers sailed uncharted seas and plotted what they saw, it was taken on face value that the lands they described existed. Maps featuring these mysterious, and at times imaginary, places were copied and recreated for centuries - and in the case of the non-existent Emerald Island in the South Pacific, featured in atlases as late as 1987. What is a phantom island ? Centuries ago when the first explorers were traveling the world, people back home had to rely on the accuracy of their sightings. As these explorers sailed the seas and plotted what they saw, it was taken on face value that these islands existed. However, despite appearing on maps for decades, some of these spotted islands were never seen again, while others were renamed. This phenomenon became known as the 'phantom island'. Some were geographical errors, some were islands that were later reclassified or re-identified, while and some were mysterious land masses that people claimed to have visited but others couldn’t find. In the 1820s, British explorers on a ship called the Emerald reported sightings of an island south of the Macquarie Island, between New Zealand and Antarctica. In the 1820s, British explorers on a ship called Emerald reported sightings of an island south of the Macquarie Island, between New Zealand and Antarctica, pictured bottom left. However expeditions in 1840 and 1909 found no trace of it. This map shows where reports claimed the mysterious Emerald Island was located. Captain William Elliot and his crew wrote that the landmass, later called Emerald Island after the ship he was sailing on, was small and mountainous. However, explorers from the U.S. who tried to locate the mysterious isle in 1840 found no trace of it. 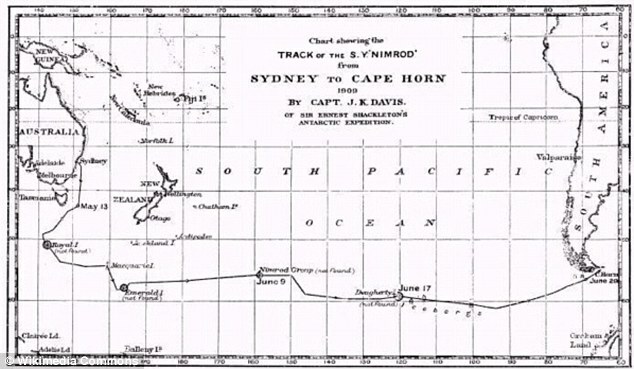 The island was later spotted by a captain visiting Port Chalmers in New Zealand some 50 years after this expedition, yet a follow-up search by Captain John King Davis in 1909, on board the ship Nimrod, again found nothing. Despite this, the Emerald Island featured on maps and in atlases until at least 1987, although it was gradually removed from many during that time. In trying to explain these mysterious sightings, historians thought that Elliot and his crew may have seen what is called a Fata Morgana, or a mirage, similar to those seen in the desert but are spotted in polar regions. Similarly, the Isle of Demons, was a mysterious mass of land off the coast of Newfoundland that first appeared on maps during the 16th century, before disappearing by the mid-17th century. Legend has it that a woman called Marguerite de La Rocque was sailing to New France in Canada, now known as Quebec, and became pregnant to a sailor in 1542. She was abandoned on the so-called Isle of Demons as punishment, to live with the devils and wild beasts that inhabited the area. Two years later she was rescued by fishermen and taken to France, where the story became popular folklore and was even mentioned in poems by the late 19th century poet George Martin. It is thought the island that de La Rocque was marooned on was part of Quirpon Island in the Labrador Sea, off the coast of Canada. The story of the Isle of Demons became popular folklore and was mentioned in poems by the late 19th century poet George Martin. 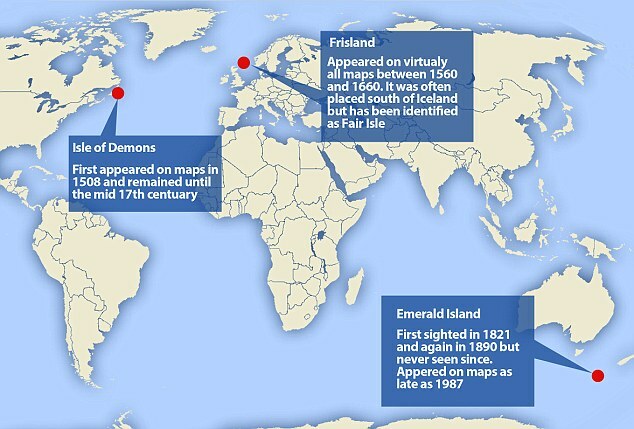 The Isle of Demons first appeared in 1508 and was often confused with the island of Satanazes, which means devils in Portuguese, located in the Atlantic Ocean. According to portolan charts, or navigational maps, from 1424, Satanazes was shown to the west of Portugal, and north of another phantom island called Antillia. It was shown with the inscription ‘Ista ixolla dixemo satanazes’ which means ‘This is the island called of the devils’. This island was never formerly identified, but along with Antillia, many historians believe the two islands to be the coasts of North and South America. More specifically, Satanazes may have been Florida, while Antillia may be what early explorers called modern-day Cuba, although this has never been verified. The legend of Antillia is believed to have originated during the Muslim conquest of Hispania in 714. Christian bishops, looking to flee the peninsula, were said to have sailed until they landed on an island known then as Antilha. According to reports, the Isle of Demons was often confused with the island of Satanazes. Charts from 1424 show Satanazes to the west of Portugal, right, near another phantom island called Antillia, left. It first appeared on maps and nautical charts from 1424 until the 15th century, although after 1492 when the region was more accurately charted, the island was removed from many maps. Frisland was a phantom island that appeared on maps of the North Atlantic for almost 100 years between the mid-1500s to 1660s. It appeared on a 1558 map as an island to the south of Iceland and continued to feature on the maps of famous cartographers Maggiolo, Mercator and Jodocus Hodius through the 16th century. 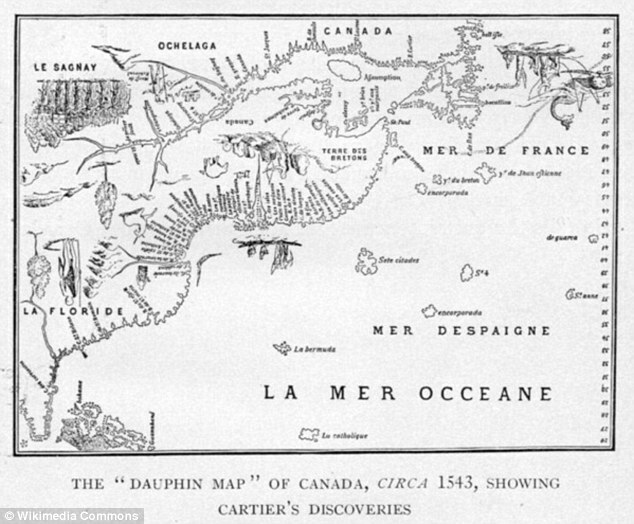 It was left off some of the early maps of Europe in the 17th century, but reappeared in 1630 off the east coast of Labrador. However, by 1652, it no longer featured on the world map and was never recorded again. Historians have claimed Frisland was part of Iceland, and later Greenland, or may have even been the Faroe Islands. However, explorers in the mid-18th century who were responsible for mapping the waters where Frisland was thought to be, claimed the island was in fact Fair Isle, an island found between Shetland and Orkney Islands off the coast of Scotland. 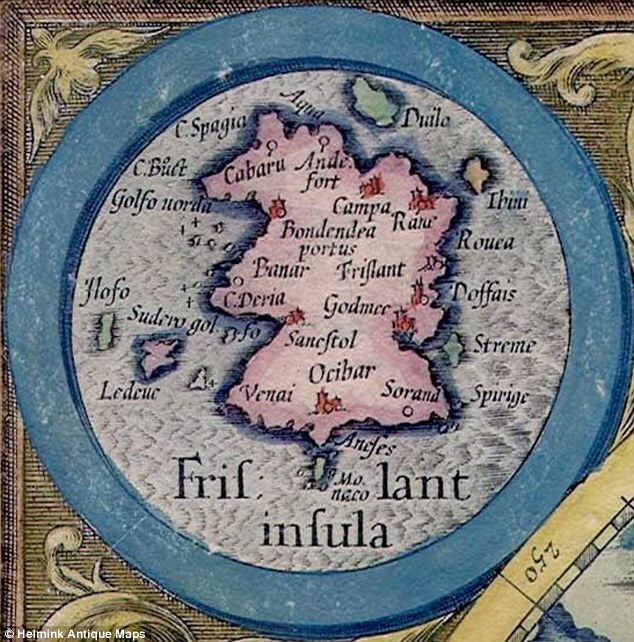 Frisland was a phantom island that appeared on maps of the North Atlantic for between the mid-1500s and 1660s. In a similar region to Frisland, explorers reported sightings of an island that later became known as Thule. The island was first referred to by Greek geographer Strabo. In his reports of the ancient world called the Geographica, which Strabo was said to have begun as early as 20 BC, he recalls an account fellow Greek geographer Pytheas made of Thule in the 4th century BC. Phantom islands are islands that appeared on maps before disappearing. 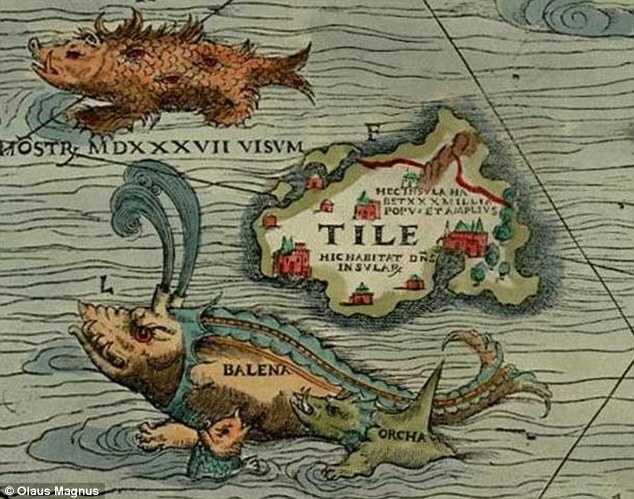 Among these is Thule, pictured here on the 1539 Carta Marina as Tile. Pytheas’ eye-witness account described the inhabitants of Thule as having ‘fertile land’ in which they grew fruit, crops, grain and honey. Yet, the area lacked sunshine and floors were often ruined by rain. They were also believed to paint themselves blue and ride on chariots, according to Roman poems. Thule was always shown on maps, based on Strabo’s accounts, in the far north of the globe, yet the exact location varied from Norway to Orkney, Shetland and Scandinavia. During the Renaissance period, the island was also identified as Iceland and Greenland. More recently a municipality in northern Greenland once called Thule was renamed Avannaa.